In the last few posts we've looked at specific aspects of shares and being a shareholder, but we've not yet looked at what shares actually are. So what is a share and how many can a shareholder hold? What exactly is a share? In basic terms, a share is a portion of a company limited by shares. Each share is owned by one or more individuals, known as shareholders. Each shareholder is entitled to different rights within the company, the entitlements are different depending on how many shares are owned and what rights are attached to them. 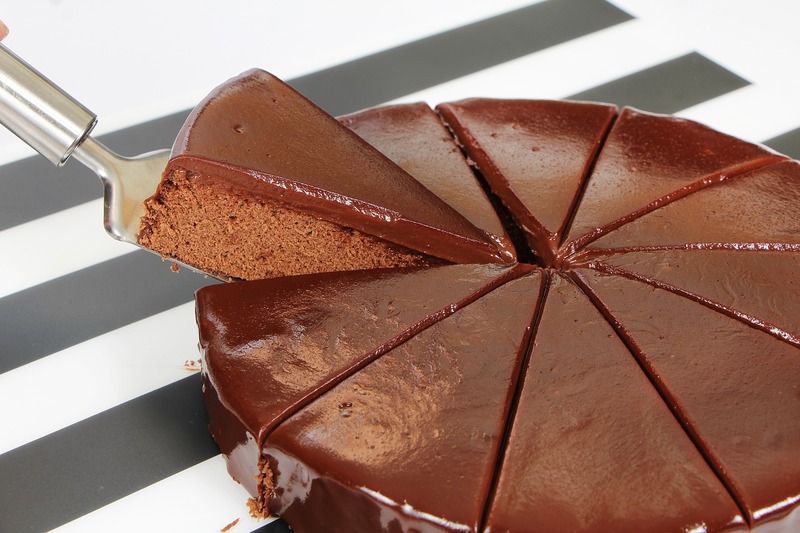 Take the analogy of a cake, a cake can be cut several ways, sometimes the slices are equal, other times someone ends up with more cake than another person. But if you assembled all the slices, they would still make a whole cake. When a limited company is first incorporated, the company owners decide how many shares to issue. This information is completed on the application form; there is a minimum requirement of one share, and no upper limit (unless set out in the articles of association). The number of shares issued usually depends on the number of shareholders within the company, and whether there are any future plans to sell off parts of the company to investors. If you're the only shareholder in the company then you may just want to issue one share to yourself which would represent 100% of the company, meaning you have full control over the decisions in the company full control over the profit share. However, if you are setting up the company with one or more other shareholders, you may want to give these a different number of rights. For example, you could issue 2 shares giving 50% ownership and rights, this gives equal rights to the shareholders. If you don't want shareholders to have equal rights, for example, you want a majority in place so that voting is never deadlocked, you may want to issue unequal shares where one share equals 75% and another equals 25%. Usually it's the case that the share portion given is in proportion to the capital invested by the shareholder. The bigger the investment, the bigger the share proportion. Is there more than one type of share? This is the standard share type and has no restrictions or special rights attached to it. Each share has the same rights and voting power, the number of shares owned by the shareholders it what can influence decisions. Usually, this share type has more rights over dividends than others. However, they usually receive a fixed sum dividend payment (rather than a percentage of profits) and they are usually paid before other shareholders. This can be good if the company's finances are looking grim, however, they can lose out if finances improve. Usually there are no voting rights attached. With this share type, any unpaid dividends can be carried forward to following years. This can mean that even though the company failed to make enough profit for a dividend payment this year, the shareholders can receive the money next year, or even the year after. No voting rights are attached to this type of share. These are usually issued to employees of a large company, so that they can receive a dividend payment but cannot dictate how the company is run. The company has the right to buy the shares back from the shareholder if a certain criteria is met. If you've seen shows like Dragons' Den, you may have heard sometimes that when the company has made a certain amount of profit in a certain time that the Dragon will reduce their shareholding in the company. This is likely to be done through Redeemable Shares. Here there can multiple share classes within one company, in order to keep things simple, they are labelled as Class A", Class B" etc. To find out more about Alphabet shares and how they work, check out our previous post - What are multiple share classes and when should they be used?. This share type carries additional voting rights, e.g. 10 votes per share. They are usually held by the original shareholders of the company so that they get a greater say in the running of the company. If your company is small or just starting out, then ordinary shares will probably be enough. But as your company grows and becomes more challenging to manage, then it may be worth seeing what other options are available. This could get complicated if we look at every share type, so to keep it simple, we'll only look at Ordinary Shares, seems they are the most common type. Rights attached to shares are known as Prescribed Particulars, and are set out in the Articles of association, or shareholders agreement. You must supply them to Companies House when you incorporate the company. "each share is entitled to one vote in any circumstance" - this means that the shareholder can cast one vote for every share they own. "each share is entitled pari passu to dividend payments or any other distribution" - this shows that the shareholder has the right to receive a percentage of the company profit in relation to the shares held. There are two values attributed to shares, the nominal value and the real share value. The nominal value is usually £1 per share. This is used so that when the shareholder purchases the share, their liability is limited to £1. The real share value is determined by the value of the company. For example, the company could issue shares at £1 each, but if they were sold on, the market value of these shares could be £3,000 depending on the standing of the company and how much someone was willing to pay to be a part of it. If the company requests payment then you have to pay for your shares. All you have to pay is the nominal value on the shares, thus limiting your liability. If the company has further debts that still aren't covered by the payment of shares then there is no obligation on the shareholders to pay these.